In November 2016 a small group of representatives of local organisations based in Windsor decided to form a group to purchase and maintain strategically lifesaving Defibrillator equipment for the town. 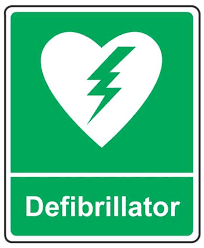 The Windsor Community Defibrillator Partnership (WCDP) has been established to provide publicly accessed Defibrillator 24hours a day. Having formed WCDP and starting to raise funds we were faced with the same problem as you, a decision as to which of the many available models of Defibrillators to buy. Location: Kiosk, Bachelors Acre, Victoria Street, Windsor SL4 1ER. What is the recommended treatment for SCA ? How much time do I have to respond if someone has a SCA ? Only minutes. Defibrillate within three minutes and the chances of survival are 70 percent. After 10 minutes, the chances of survival are negligible. I know CPR (Cardiopulmonary resuscitation), wouldn’t it help ? Is an AED complicated to use ? AEDs are very easy to use. An AED can be used by practically anyone who has been shown what to do. In fact, there are a number of cases where people with no training at all have saved lives. Can a non-medical person make a mistake when using an AED ? Can the AED itself make a mistake ? It is unlikely. Studies show that AEDs interpret the victim’s heart rhythm more quickly and accurately than many trained emergency professionals. If the AED determines that no shock is needed, it will not allow a shock to be given. Are there any legal or insurance implications? There are no legal or insurance risks associated with using a defibrillator. There have been no cases of anyone being sued in the UK and no instances of claims from people receiving poor first aid attention in the UK; this is a health and safety myth.